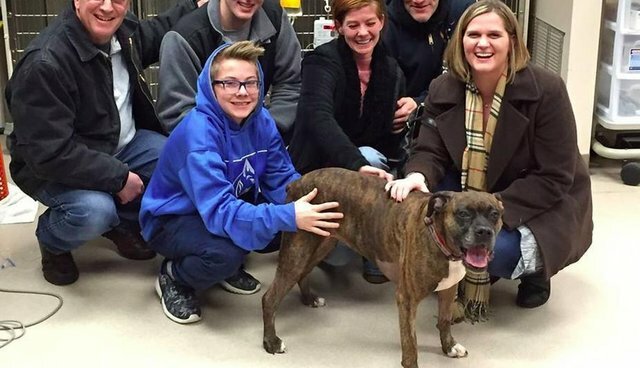 Carmen the 9-year-old boxer touched our hearts this February when she wound up hospitalized and on a ventilator after trying to save her beloved human, Ben Ledford, from a fatal house fire. The story reached millions, and donations to Ledford's family poured in from around the globe. 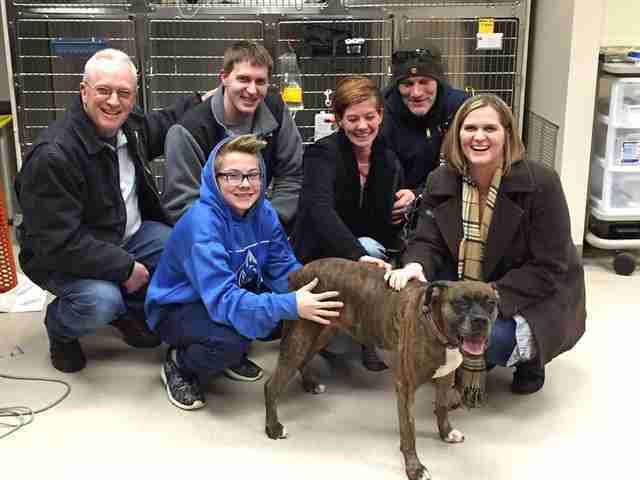 Now, after weeks of care at a Cincinnati, Ohio, animal hospital, Carmen has finally gone home with Ledford's family. 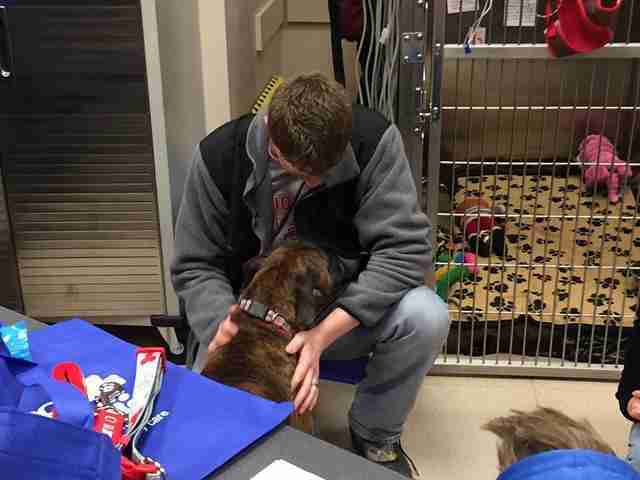 The Cincinnati Care Center shared the heartwarming pictures of Carmen leaving the animal hospital Monday. 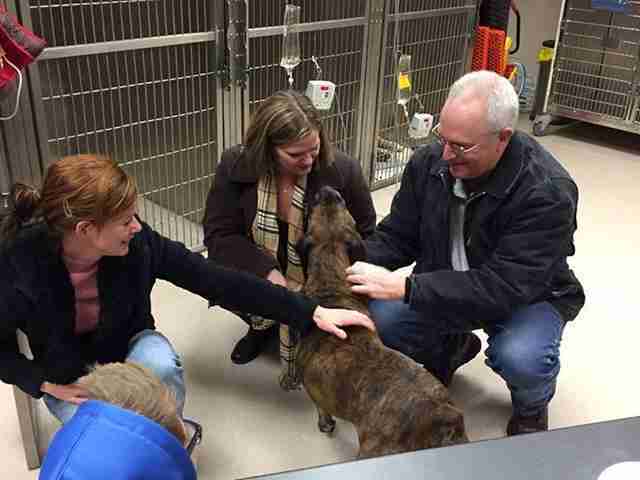 Carmen will live with Ledford's brother, Phil, where she'll get all the love and care she deserves. The Ledfords posted an update on their donation page, thanking their supporters: "We appreciate everything, as you have shared in our grief as we mourn the loss of Ben, our hope for Carmen's recovery, and finally our celebration as Carmen heads home."